IUI stands for Intrauterine Insemination; IUI is one format of artificial insemination which is part of infertility treatments. In this process the sperm of the partner is collected and washed in lab to pick the healthy ones for transfer. Now these sperms are injected right into the uterine cavity of the woman who wants to be mother close to the time of follicle ovulation. In case the quality of sperm of the male partner is not of good quality then this procedure can be done using the sperm of a donor with the consent of you and your partner. Prescribed medication given before the injection in order to stimulate or support the healthy growth of the eggs, turning the woman highly fertile than she can be without medication. With help of injection, the sperm is carefully placed right inside of uterine cavity, shortening the steps needed by sperm to swim via the cervical opening and into the uterus naturally. It supports the sperms to meet healthy egg very easily. There is a mild yet important difference between IVF and IUI Treatment in India. The major difference is that in IUI sperm are not introduced to the egg by injecting for fertilization. It happens naturally via IUI – doctors only support to bring sperm a bit closer to the healthy eggs in the womb of the woman. Corion fertility clinic runs a fertility program through which the doctors at Corion fertility clinic offers, IUI treatment, surrogacy treatment in Mumbai, IVF procedure with higher results. We believe that it is the right of every individual and couples to enjoy the joy of parenthood. Becoming a parent is the most wonderful time which a person loves to have in his or her life. 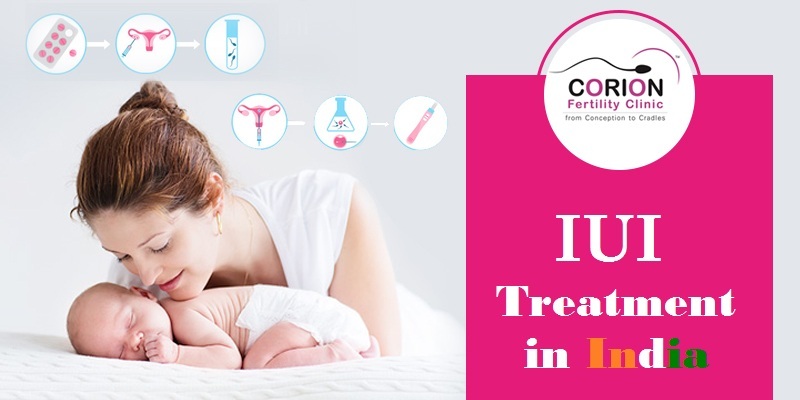 Curious to know more about IUI treatment and other fertility treatments; just talk to our specialist at Corion Fertility Clinic, the best fertility centre in India.